After surviving a stubborn three-year recession, a new poll suggests a growing number of small businesses are now positioning themselves to invest more capital in leveraging their technological edge. The fall 2011 Small Business Monitor, sponsored by American Express, found that 48 percent of small businesses planned to increase capital investment in their companies over the next six months – up from only 44 percent in the spring of 2011. 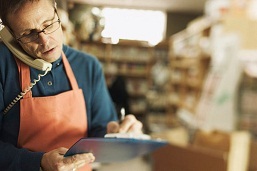 The survey polled 814 small businesses of less than 100 employees each. Technology was the top priority for most small businesses, as more than a third of respondents indicated they planned to invest more capital in upgrading their electronic infrastructure. Office supplies came in second with 20 percent, manufacturing equipment came in third with 13 percent, real estate came in fourth with 9 percent and office furniture came in fifth with 7 percent of respondents. The survey also found that small business owners are less worried now about cash flow than they were six months ago. Fifty-five percent of survey respondents said they have cash flow concerns, compared to 66 percent back in the spring of 2011. Many small business owners have alleviated those concerns by investing in online payment systems, which enable their clients to make payments online, and make it easier for small businesses to collect revenue. A recent PaySimple survey found that 85% of small businesses saved time and 55% were paid faster with an online payment processing solution. As the recession continues to weigh on small business owners, these new statistics may indicate a light at the end of the tunnel. If that’s true, now may be the best time to invest in technical upgrades, while prices remain relatively low and much of the competition feels apprehensive about expanding.